Finally, all the leaks related to the Moto E4 and E4 Plus have ended today as the company announced both the smartphones today. Both the devices offer great features at a budget price and in this article, we will be talking about what they offer. The E series has finally got a big upgrade with features like an all day battery, outstanding display and advanced camera capabilities. The Moto E4 is priced at $129.99 USD whereas the E4 Plus is coming with a price tag of $179.99 USD. Recently, the company announced the Moto C in India for under 7000 and so, it is now among the best phones under 7000. Lastly, the device runs on Android 7.1 Nougat out of the box with a 2,800mAh battery powering the device. Other features of the phone include Water-repellent coating, Bluetooth 4.1, 802.11a/b/g/n, Wi-Fi hotspot, GPS, etc. Talking about the sensors, the phone has Vibration, Proximity, Light, Accelerometer, Magnetometer (e-compass), and Fingerprint reader. 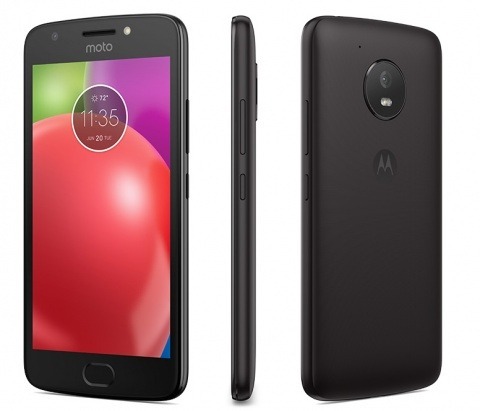 The Moto E4 Plus is a high-end variant of the E4 with a metal body and nano coating that protect the phone.It has a 5.5-inch HD display with 2.5D curved glass on the top of the display. It is powered by a Snapdragon 427 processor, which is a Quad-Core processor clocked at 1.4GHz. There is 2GB RAM and 16/32GB internal storage. Coming to the camera section, the phone has a 13MP rear camera with f/2.0 aperture, 1.12 um microns 78° lens and Single LED flash. Also, there is a 5MP front camera with f/2.2 aperture, 1.4 um microns 74° lens and LED flash. One of the highlights of the E4 Plus is a huge 5,000mAh removable battery that is enough to keep the phone up and running for two days on normal usage. It runs on Android 7.1 Nougat out of the box. As mentioned in the beginning, the Moto E4 will be available for $129.99 USD and E⁴ Plus for $179.99 USD. What are your views regarding the pricing and the features that these smartphones offer? Do let us know via the comments section.